Questions about whether Goldman Sachs Group (GS) chairman and CEO Lloyd Blankfein can stay in his job are mounting. A story inThe Wall Street Journal says top management at the firm and a number of senior alumni question if he can hang on. Bloomberg BusinessWeek reports that a number of experts believe the the chairman and CEO roles should be split like they are at a number of other banks, including Citigroup (C) and Bank of America (BAC). At the Berkshire Hathaway (BRK.B) annual meeting, Warren Buffett defended Goldman management saying, "I do not hold against Goldman at all the fact that an allegation has been made by the Securities and Exchange Commission." That's easy to say now. Buffett's investment in Goldman -- $5 billion he loaned the firm during the credit crisis -- yields 10%. But, his loyalty is only likely to go so far, particularly if criminal charges are brought against the investment bank. 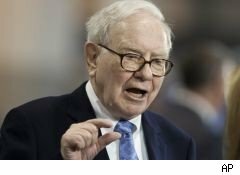 Could Buffett step in to act as Goldman's non-executive chairman in order to calm Goldman customers and shareholders fears, and also to facilitate a settlement with the government? It's worth remembering that he did so once before when his investment in a major Wall Street firm was in jeopardy. The Oracle of Omaha took over as the interim chairman of Salomon Brothers in August 1991 when the head of the company, John Gutfreund was pushed out. Buffett stepped in when the Treasury Department was about to strip the financial firm of its role as a participant in government bond auctions. The activity was one of the most important sources of revenue for Salomon. Whether the federal government would attempt to pressure Goldman in a related way is impossible to forecast. At the time Buffett took the job, Berkshire owned 14% of Salomon. Salomon was under pressure because of investigations by the Treasury, the Fed and the SEC. By June 1992, the crisis at the investment bank was over and Buffett stepped down as chairman. There is no telling how bad the problems will get at Goldman. New allegations appear every day and the company's image is in shambles. Shareholder suits could cost the company large amounts, even if the firm enters into successful settlement talks. Clearly Buffett cannot run Goldman's day-to-day operations. Blankfein would have to stay, or another CEO would have to be chosen by the board. And Buffett, at 79-years-old (a very healthy 79 who loves the spotlight), is not an investment banker, but chairing the Goldman board would only be a part time job. Buffett did it at Salomon, and it worked.